Any Size400+ sq. ft.800+ sq. ft.1200+ sq. ft.1500+ sq. ft.2000+ sq. ft.2500+ sq. ft.
We offer extensive support prior to and after your arrival in Hong Kong, including information on schools, hospitals, residential areas, housing expectations and budgets, immigration, local customs, transport of pets, child care, whatever your topics of concern are. 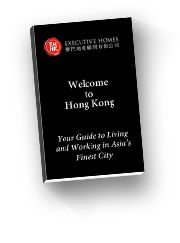 Our Living in Hong Kong Guide covers everything you need to know about Housing in Hong Kong, Schools in Hong Kong, Transportation in Hong Kong, as well as Directory which covers everything from hiring domestic help to buying furniture to medical services. Contact our international team to give you a personalized service for your relocation now.